May 2018 Belmont Law graduate Ben Riggs wasted no time putting his legal degree to work at the highest echelons of U.S. government. 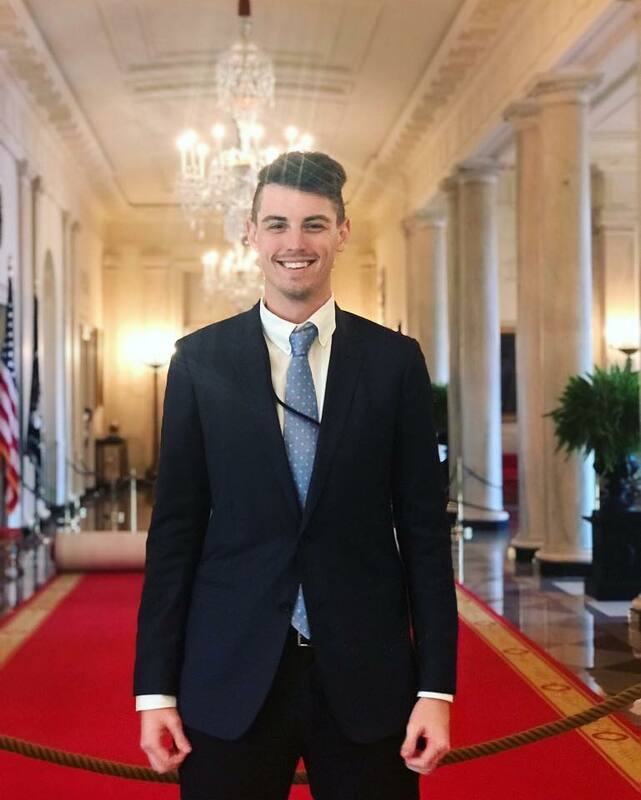 A native of Murfreesboro, Tennessee, alumnus Riggs recently completed an internship in the Office of the White House Counsel. From September through early December 2018, Riggs did a variety of tasks in the Counsel’s office, including drafting memorandum concerning various issues in administrative, immigration and labor law and identifying and organizing thousands of documents related to oversight requests. He also analyzed and categorized Freedom of Information Act (FOIA) requests, compiled executive agency Equal Employment Opportunity Commission (EEOC) policies and researched constitutional and statutory authority for presidential and executive agency actions, among other duties.